I must be slipping. 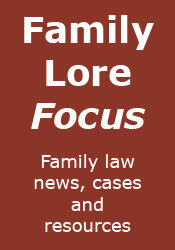 This week's summary of the top family law news stories occupies a whopping 3 minutes 26 seconds. Can you spare the time? Can you afford not to?